In Defense of Communism: Greek industrialists: "SYRIZA and New Democracy converge in their economic strategy"
Greek industrialists: "SYRIZA and New Democracy converge in their economic strategy"
Info taken from 'Rizospastis', 24/9/2016. In it's latest weekly report, the Hellenic Federation of Enterprises (the union of the Greek industrialists) admit that the SYRIZA government and the right-wing, conservative opposition of New Democracy have no fundamental differences in their strategy for the country's economy. "The development objective is common, the means are different" says the report of SEV* thus openly acknowledging the convergence between SYRIZA and New Democracy in their strategy to serve the antipeople, antiworkers objectives and priorities of the Greek capital. 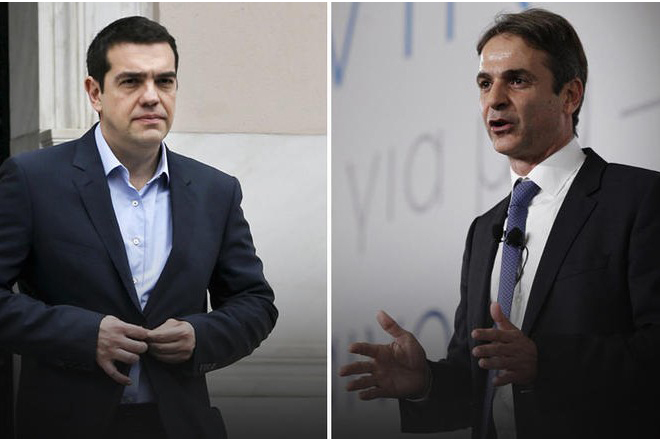 The industrialists evaluate the interventions of Prime Minister Alexis Tsipras and opposition leader Kyriakos Mitsotakis at the Thessaloniki International Fair earlier this month as "positive", as long as both seem to be fully aligned to the demands of the domestic capital for competitiveness and recovery of profits. "Despite the ideological differences", states the weekly report of SEV, "the presentations of the political leaders of both major parties in at the Thessaloniki International fair converge in the necessity for a fast exit from the crisis and recession and the transition of economy to a new development model focused on investments and exports, with more planning and greater compliance with the restrictions of the Memorandum". In a few words, the report of the Greek capitalists acknowledges that Alexis Tsipras and his coalition government do a really good job in serving their interests. It also becomes clear that despite the dog fights between SYRIZA and New Democracy on minor political issues both parties have a common strategy towards the implementation of antipeople, antiworkers measures in favor of the capital's profitability. * SEV (From the Greek "ΣΕΒ", which is the accronym for the Hellenic Federation of Enterprises).